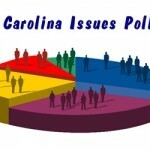 As an accompaniment to last evening’s Crucial Conversation in Fayetteville, NC Policy Watch released another edition of its Carolina Issues poll. As in Charlotte a couple of weeks back, we asked Faytteville voters what they thought about an array of issues, including: The General Assembly’s decision to cut taxes and core services during the 2011 session, Speaker Thom Tillis’ recent “divide and conquer” statement, Occupy Wall Street and much more. As in Charlotte, voters voiced a great deal of skepticsm about many of the choices that conservative leaders have made. For instance, only 36% of Fayetteville voters thought that the decision to cut the sales tax had had a positive effect on their lives while 64% thought it had had a negative effect or no effect. Similarly, voters generally disapproved of the decision to cut core services (as well as Tillis’ “divide and conquer” statement) by roughly a two-to-one margin. We’ll have more analysis of the results posted shortly. in the mean time, feel free to peruse all of the questions and raw data by clicking here.